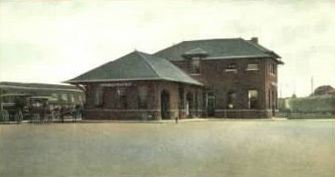 New brick passenger station opened November 2, 1901. Second track from Washington to Phillipsburg was taken up 1901. Brick freight station with separate agent. 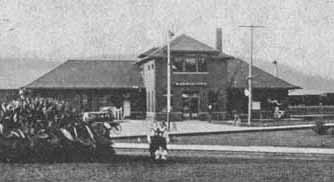 Agent combined with passenger station January 22, 1929. 60' turntable. No roundhouse. 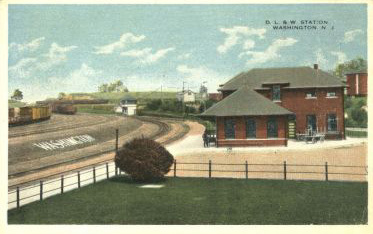 Washington was not a terminal after merging of the M. & E. and D.L & W. Trains ran to Phillipsburg as the terminal while eastbound freights ran to Port Morris. Two interlocking towers. East end tower controlling Phillipsburg branch and yard closed about 1942. Tower at west end of yard removed before 1917, probably soon after New Jersey Cut-Off opened and all through freights diverted away from Washington. 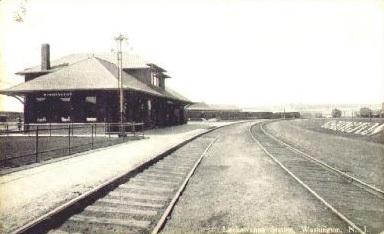 Track scales removed prior to 1917. Branch to Hampton torn up 1958. Several manufacturers, coal and building material dealers. 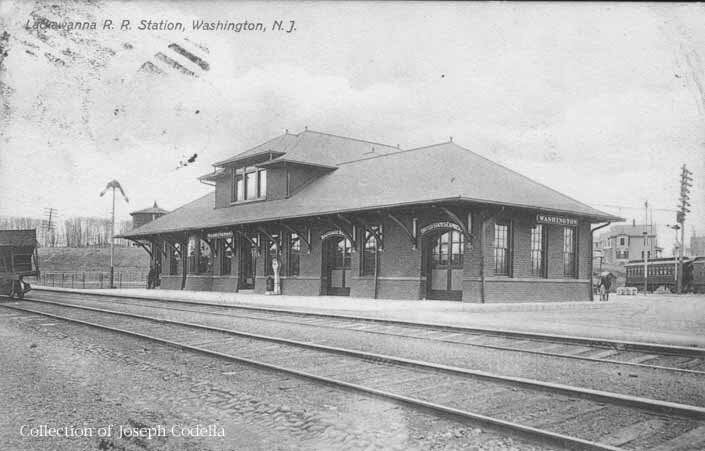 The 1901 station replaced two adjacent stations, at the crossover of the Phillipsburg line (upper station) and the Hampton branch (lower station). Engines terminating at Washington ran to Hampton engine house at night. Two coaling stations at Washington for refueling. M. & E. division torn down 1902-03. 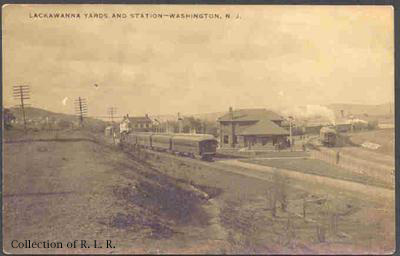 Main Line Division dock at Port Washington torn down 1904-12. Track from Washington to Delaware M.P. 79.3 abandoned April 21, 1970. Double track removed Washington to Manunka Chunk in 1942; Washington to Netcong in 1946. Looking west at station down Old Main.